Carlos Aparicio was elected to the EWCSD Board of Trustees in November 2007. He is married to Gina Aparicio and they have 4 kids, one of which attends Ocean View Elementary and one who attends East Whittier Middle School. Their two older children went to Hillview Middle School and are now attending USC. Their son is studying business while their daughter, who was the valedictorian at Santa Fe High School will be studying business law. 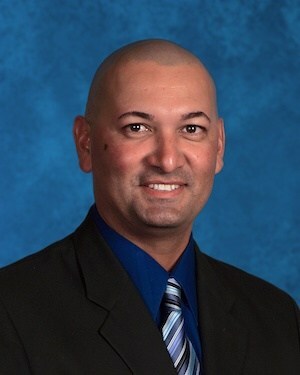 Mr. Aparicio earned his bachelor's degree and teaching credential from Cal State Long Beach and received his master's degree in educational leadership from Cal Poly Pomona. Mr. Aparicio is currently teaching physical education at Baldwin Park High School and has been in the teaching profession since 2002.